Do you have a desire to be published beyond writing articles for online sites or in your journal? This is one of MY dreams. However, I have found it easier to start on a project than finishing it at times. Other friends who have done NaNoWriMo are finished and have published works with their name on it. I have unfinished pieces collecting virtual dust. I have three challenges that thwart me. The first is scheduling the time to work on the books. Second is feeling confident in my ability to format it all. But, one of the worst challenges is the dreaded writers’ block. Many of us suffer from writer’s block at some point in time. We have that feeling of emptiness as you stare at a completely blank page and have no idea what to write. Nothing you can think of seems like a good way to start your book and you end up just procrastinating as a result. But there’s probably something even worse than this phenomenon too – which is the feeling of writing your book without really engaging with what you’re writing. You’re writing… but very slowly. And there’s no soul or excitement in what you’re saying. Fortunately, there are a number of tricks that professional writers have invented to get around them. Read on! The strategy that is most often recommended by writers is simply to start writing something. Just force yourself to put words on the page, no matter what those words are. What you write doesn’t have to be good… in fact it doesn’t even have to be on-topic! This could even mean just writing a journal. Either way though, just start writing and get used to letting words flow. Within a few minutes you’ll find there’s much less resistance when you come to write more. Often when we can’t bring ourselves to write, it’s because whatever we’re saying is somehow boring. We can’t bring ourselves to sit there and write such a bland chapter and thus our brains rebel. Don’t make the mistake of just powering through! Instead, think about how you could make it exciting enough that you do want to write it. Not only will this make it easier for you to write, it will also make it more enjoyable to read once it’s finished! A number of writers will use this strategy. If you find that writing whatever you’re writing about is a little too bland and boring, then try getting around it by writing with the TV on or music playing in the background. With the TV you may opt to keep the sound off so you aren’t sucked into the program. But by concentrating on the moving images, you’ll find it feels much less ‘dry’ and dull to keep on powering through and typing. For me, music is a preferred background. Depending upon the task, I pick the music most likely to make me productive. Slow and steady may be great for studying, but when I am writing I like familiar upbeat tunes. Finally, learn to listen to your mind and body. Sometimes we’re just not in the mood to write. Or our brains are functioning at a lower level because of the time of day. Find when you’re most productive and shift your schedule to work around that time! I love blogging and feel so fortunate to do what I do, connecting with this community, sharing what I’m passionate about, and even earning an income. For someone looking to beat writer’s block, there are resources to help you! Note ~ We are affiliates with Ultimate Bundles and may receive a commission for purchases made through our link. 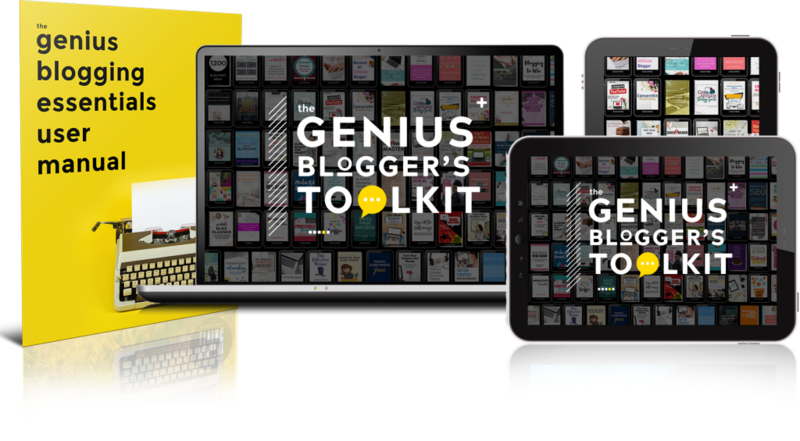 These resources include over $5,800 of blogging tips, strategies, tutorials and amazingly practical information and ideas. The most important detail, though, is that this toolkit is available for just a few days. After Monday night, October 9th, the sale ends and you’d have to buy all of these products individually. I’d hate for you to miss out, so click HERE to learn more or buy the bundle. And, if you buy through my link and email me a copy of the receipt, I will gift you a course on publishing an ebook. What are some ways you beat writer’s block? Is becoming a published author a dream of yours?